This website is owned by A&L Windows Pty Limited (ACN 064 692 888) (“A&L Windows”) of 131-149 National Drive, Dandenong South, VIC, 3175. Throughout these terms and this website, the terms “we”, “us”, “our” refer to the A&L Windows and any of our affiliated companies (as relevant). By viewing or using our website or any of the material contained on it (or continuing to do so), you are agreeing to be bound by the terms listed below and any other laws or regulations which apply to this website. This website has been compiled on the basis of general information current at the time of publication. While we believe it to be accurate, you acknowledge that changes in circumstances after publication may affect the completeness or accuracy of this information. To the maximum extent permitted by law, we disclaim all liability for any errors or omissions contained in this information or any failure to update or correct this information. It is your responsibility to assess and verify the accuracy, completeness, currency and reliability of the information on this website, and to seek professional advice where necessary. We make this website and its contents available on an as-is basis. We make no representations or warranties of any kind with respect to this website or its contents. To the maximum extent permitted by law, we disclaim any such representations or warranties as to the security, completeness, accuracy, merchantability, compliance with images or samples or fitness for purpose of any product, service, know-how, technique or other information contained in this website, including without limitation the information on this website, products referred to on this website and any email correspondence between you and us. Unless otherwise indicated, all copyright and other intellectual property rights in the website design, text, images, graphics, data, information, logos, and other materials on this website, including the selection and arrangement thereof, and all software relating to this website, belongs to or is licensed by A&L Windows. This copyright is protected by Australian and international copyright laws. All trade marks, service marks, trade names and branding on this website belong to A&L Windows, its related entities or its licensors. A&L Windows, its related entities or its licensors do not give you any licence or right to use them. The use or reliance on the information on this website is at your own risk. A&L Windows, its related entities, its directors, employees, shareholders, agents and other representatives will not, under any circumstances, be liable for any injury, loss, damage, claims, expenses, or liabilities whatsoever arising out of or related to the use, or inability to use, the information on this website or provided through this website by email. This limitation of liability includes, but is not limited to, compensatory, punitive, direct, incidental, indirect or consequential damages, loss of data, income or profit, loss of or damage to property and third party claims. 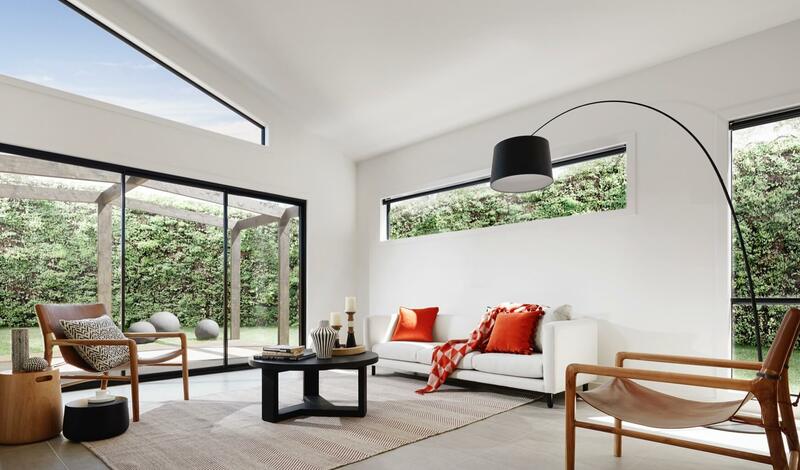 To the maximum extent permitted by law, A&L Windows does not accept any responsibility to maintain the material and services made available on this web site or to supply any corrections, updates, or releases in connection therewith. Any material on this website is subject to change without notice. (ii) payment of the cost of resupplying the services. We permit linking to this website, provided that the full html page is loaded. Any such links must not incorporate our trade marks or service marks, and must not be used to disparage or otherwise detrimentally affect the reputation of A&L Windows or its related corporations. Information on this website may include links to the websites of others outside our network. These links are provided for your convenience only. The inclusion of any link to other websites does not imply endorsement by the Company of third party companies, individuals, products, information, or opinions. We do not warrant that information on this or any third party websites is free from computer viruses or any defects, errors or infringements of intellectual property rights, nor do we authorise any such infringement by providing these links. We recommend you read the legal and privacy notices of any other websites that you visit. When you use this website our hosting platforms or Internet Service Provider (ISP) may make a record of your visit and log your IP or server address, your domain name, the date, time and duration of your visit, the pages and documents you accessed, the previous site you had accessed (ie, the referring url) and the type of browser you are using. This information is collected for statistical purposes only, and we will not make any attempt to identify users according to their browsing activity. It is also possible that your ISP is logging your activity while you visit our site. This is beyond the control of A&L Windows. You agree to indemnify A&L Windows, its related entities, its directors, employees, shareholders, agents and other persons involved in the creation of this website for all damages, losses, penalties, fines, expenses and costs (including legal costs) which arise out of or relate to your use of this website, any information that you provide to A&L Windows via this website or any damage that you may cause to this website. This indemnity includes, without limitation, loss or liability relating to copyright infringement, defamation, invasion of privacy, trade mark infringement and breaches of the Australian Consumer Law. If you do not agree with them, you are not authorised to and must not use the website. This website and its contents are subject to copyright which is owned by A&L Windows or a third party. A&L Windows does not grant you any intellectual property rights in this website, its applications, interface or contents. You must not use any trademark displayed on this website without our prior written consent. You release A&L Windows, its servants and agents to the fullest extent permitted by law from any and all claims arising out of or related to the use of material or information made available through this website. This website may contain links to external Internet websites. A&L Windows does not sponsor, guarantee or approve of any material or representations in those websites. Nor do we warrant that material on this or on linked sites is free of any computer virus, defects or infringements. Links to this site are permitted, provided the full html page is loaded. Links to individual graphics or to areas that are considered “security areas” that bypass any security protection or password protect that A&L Windows establishes are expressly prohibited. If you wish to use a graphic to link to this site please contact us to obtain written permission (which may be granted or withheld in our absolute discretion). You must only use this website, and you must only display, copy, distribute download and print portions of this website for your own personal, non-commercial use. You must not attempt to change, reproduce, add to, remove, hack or interfere with this website or its material. We cannot guarantee any file, data or program available for download from this website (or any linked website) is free of viruses and you assume the risk of any damage to your computer as a result of using this website. This website may be inaccessible from time to time due to events outside A&L Windows’ control or maintenance requirements. A&L Windows offers you access to this website and the functionality attached to this website but reserves the right in the future to alter the terms of access (including the right to charge a fee for this service).